If you know the answer is correct, move ahead to the next question. As tempting as it might be, don’t go back and double check your work. Assume you’ll need any extra time for more difficult questions at the end of the exam. GMAT reading passages usually include 400-450 words, including some challenging vocabulary, incorrect grammar, bad syntax and complex topics. You probably can’t remember every detail from the reading, so don’t try. Take notes so you can remember the main ideas and details from the passage, but focus more on the overall concept and how the ideas logically relate. Save time on the quantitative section, by memorizing basic computations before the exam. Know your multiplication tables beyond 10 x 10, the perfect squares up to 20, a few perfect cubes and the powers of 2 & 3. This will allow you to spend more time thinking about the problem and less time to doing time intensive computation. 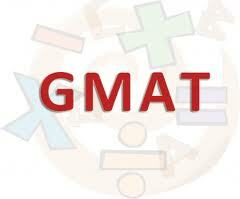 If you don’t finish a GMAT section, you will be penalized significantly. That’s why you must finish all the questions, no matter what. True, guessing and answering a question wrong will negatively impact your score, but leaving a question unanswered is ultimately worse. Don’t be a slave to the clock during the GMAT exam. Learning ways to save time while taking this difficult test will decrease your stress level on test day and help you earn the score you need to attend the country’s best business schools.